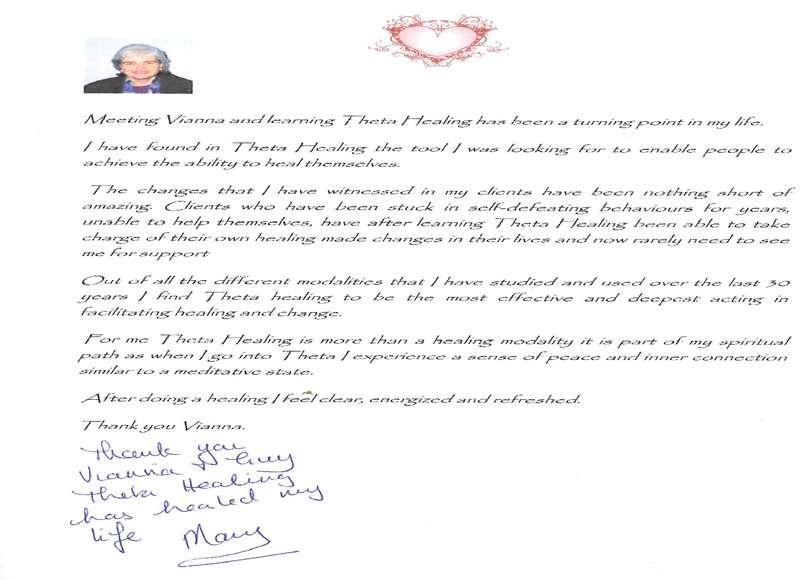 Meeting Vianna and learning Theta Healing has been a turning point in my life. I have found in Thetahealing the tool I was looking for to enable people to achieve the ability to heal themselves. The changes that I have witnessed in my clients have been nothing short of amazing. Clients who have been stuck in self-defeating behaviours for years. Unable to help themselves, have after learning Theta Healing been able to take charge of their own healing made changes in their lives and now rarely need to see me for support. Out of all the different modalities that I have studied and used over the last 30 years. I find Theta healing to be the most effective and deepest acting facilitating healing and change. For me Theta Healing is more than a healing modality it is part of my spiritual path as when I go into Theta. I experience a sense of peace and inner connection similar to a meditative state. After doing a healing I feel clear, energized and refreshed.